Запропоновано метод діагностики горизонтальних швидкостей за спектральними 2D-спостереженнями в центрі диска Сонця з високим просторовим розділенням. Суть методу полягає у побудові (обернена задача переносу випромінювання) напівемпіричних моделей атмосфери Сонця з подальшим відтворенням поля горизонтальних швидкостей за допомогою рівнянь гідродинаміки. Проведено тестове дослідження діагностичних можливостей лінії Ba II λ 455.403 нм з урахуванням надтонкої структури та ізотопічного розщеплення для вивчення поля горизонтальних швидкостей неоднорідної атмосфери Сонця. 2. Самарский А. А. Введение в теорию разностных схем. — М.: Наука, 1971.—552 с. 3. Стодилка М. И. Тихоновские стабилизаторы в инверсных задачах спектральных исследований // Кинематика и физика небес. 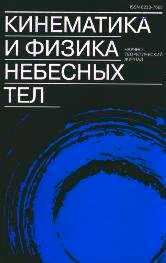 тел.—2003.—19, № 4.— С. 334—343. 4. Стоділка М. 1. Інверсна задача для дослідження неоднорідностей атмосфери Сонця та зір // Журн. фіз. досліджень.—2002.—6, № 4.—С. 435—442. 5. Asplund M., Ludwig H. G., Nordlund А., Stein R. F. The effects of numerical resolution on hydrodynamical surface convection simulations and spectral line formation // Astron. and Astrophys.—2000.—359, N 2.—P. 669—681. 6. Burgess A., Seaton M. J. A general formula for the calculation of atomic photo-ionization cross-sections // Mon. Notic. Roy. Astron. Soc.—1960.—120.—P. 121—151. 7. Cattaneo F., Hurlburt N. E., Toomre J. Supersonic convection // Astrophys. J. Lett.—1990.—349.—P. L63—L66. 8. Cattaneo F., Lenz D., Weiss N. On the origin of the solar mesogranulation // Astrophys.J.—2001.—563.—P. L91—L94. 9. Cheung M. C. M., Schiissler M., Moreno-Insertis F. Magnetic flux emergence in granular convection: radiative MHD simulations and observational signatures // Astron. and Astrophys.—2007.—467.—P. 703—719. 10. Gizon L., Cameron R., Jackiewicz J., et al. Helioseismology at MPS // Modern solar facilities-advanced solar science: Proceedings / Eds F. Kneer, K. G. Puschmann, A. D. Wittmann.— Universitätsverlag Göttingen, 2007.—P. 89—102. 11. Leese J. A., Novak C. S., Clark B. B. An automated technique for obtaining cloud motion from geosynchronous satellite data using cross correlation // J. Appl. Meteorol.—1971.—10.—P. 118—132. 12. Malagoli A., Cattaneo F., Brummell N. H. Turbulent supersonic convection in three dimensions// Astrophys. J. Lett.—1990.—361.—P. L33—L36. 13. November L. J., Simon G. W. Precise proper-motion measurement of solar granulation // Astrophys. J.—1988.—333.—P. 427—442. 14. Olshevskii V. L., Shchukina N. G., Vasileva I. E. NLTE formation of the resonance Ba II line &lambda; 455. 4 nm in the solar atmosphere // Kinematics and Physics of Celestial Bodies.—2008.—24, N 3.—P. 145—158. 15. Peach G. A revised general formula for the calculation of atomic photoionization crosssections // Mon. Notic. Roy. Astron. Soc.—1967.—71.—P. 13—27. 16. Ploner S. R. O., Solanki S. K., Gadun A. S. Is solar mesogranulation a surface phenomenon? // Astron. and Astrophys.—2000.—356.—P. 1050—1054. 17. Rieutord M., Roudier T., LudwigH.-G., et al. Are granules good tracers of solar surface velocity fields? // Astron. and Astrophys.—2001.—377.—P. L14—L17. 18. Rieutord M., Roudier T., Malherbe J. M., Rincon F. On mesogranulation, network formation and supergranulation // Astron. and Astrophys.—2000.—357.—P. 1063— 1072. 19. Roudier T., Lignieres F., RieutordM., et al. Families of fragmenting granules and their relation to meso- and supergranular flow fields // Astron. and Astrophys.—2003.— 409.—P. 299—308. 20. Shchukina N. G., Olshevsky V. L., Khomenko E. V. The solar Ba II 4554 A line as a Doppter diagnostic: NLTE analysis in 3D hydrodynamical model // Astron. and Astrophys.—2009.—506.—P. 1393—1404. 21. Simon G. W., Title A. M., Weiss N. O. Modeling mesogranules and exploders on the solar surface // Astrophys. J.—1991.—375.—P. 775—788. 22. Stein R. F., Nordlund A. Simulations of solar granulation. I. General properties // Astrophys. J.—1998.—499.—P. 914—933. 23. Strous L. H. Feature tracking: deriving horizontal motion and more // Proceedings of the Fourth SOHO Workthop — Helioseismology: ESA Special Publ. / Ed. B. Battrick.—1995.—376.—P. 213—217. 24. Verma M., Steffen M., Denker C. Evaluating local correlation tracking using CO5BOLD simulations of solar granulation // Astron. and Astrophys.—2013.— 555.—P. A136—A146. 25. Vitas N., Fischer C. E., Vogler A., Keller C. U. Fast horizontal flows in a quiet Sun MHD simulation and their spectroscopic signatures // Astron. and Astrophys.— 2011.—532.—P. A110—A120.